We are heading down to the Queen Mary for year number 5 of Scotsfest! 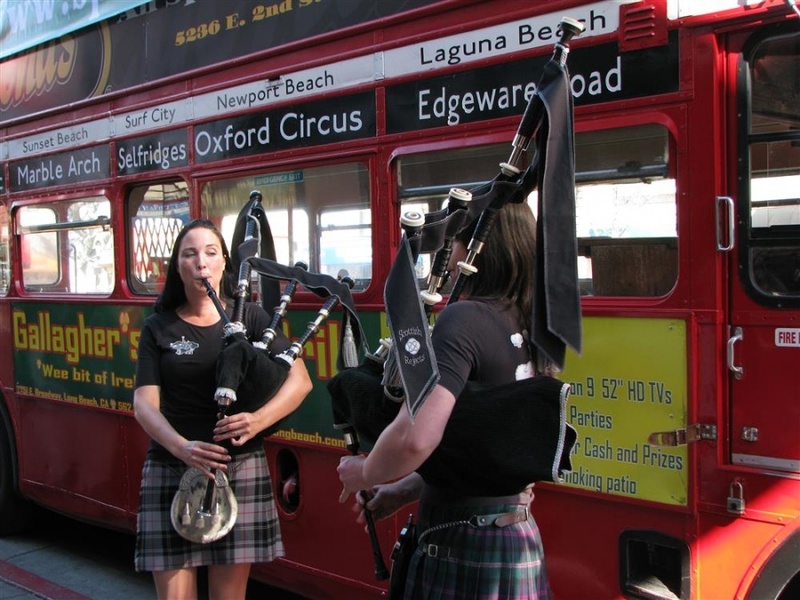 Don't miss out on this fun-filled day of Pub Crawling & Scottish Festival adventure. Get on-board for an endless family-friendly party that spills from one wild episode to the next. You'll be fed, enjoy a complimentary Beer, visit 2 Irish Pubs, see the Queen Mary, enjoy traditional Scottish games, & hear the bagpipes. • Valid only for Scottish Festival on February 18th. • Reservation includes ticket to the Scottish Festival. • Registration is required. Please call 562-888-2870 with a credit card number to secure your seats. • Pick up & drop off is at Legends. • Parking available around 2nd St. Please give yourself time to find parking for free in the residential streets or there is a paid lot a Chase Bank and behind Legends. • No cancellations or refunds. Reservations: Yes, please call 562-888-2870 or book online for reservations.